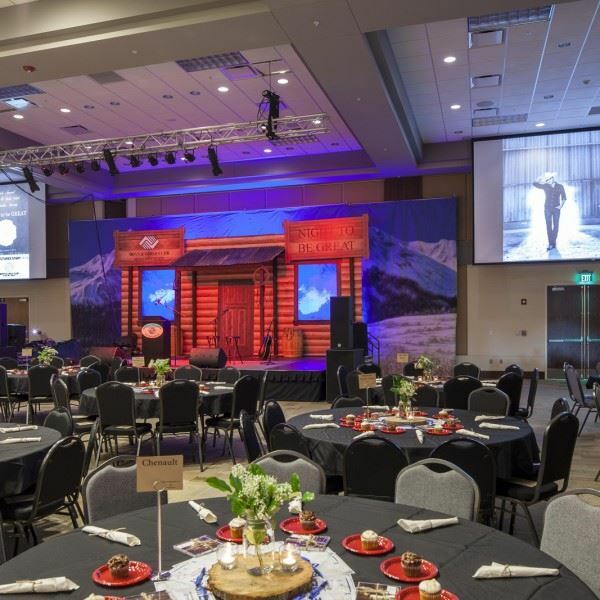 The Benton Event Center is a 29,000-square foot facility designed to accommodate a wide range of community and regional meetings and special events. Whether it’s a trade show, convention, concert or seminar, we have the space and amenities to meet your specific needs. Located in the back corridor of the facility, this room can be used as private space for your speaker, entertainment or a bride and groom prior to the reception. The room is in close proximity to the secondary restrooms and features easy access to the main banquet rooms. The Benton Event Center Plaza is an outdoor meeting space ideal for corporate meet and greets, receptions and luncheons. The area features stain concrete, park style benches, landscaping and canvas awning. White outdoor folding chairs are available upon request. With over 5,700 square feet of open space, the pre-function area is ideal for welcoming your guests or displaying corporate or vendor exhibits. The area features floor to ceiling windows and professionally decorated furnishings. Room capacities may change based on set-up.